Sacramento Sports Commission (SSC), a division of Visit Sacramento, fosters economic development of the region by securing, promoting, and sustaining highly visible sporting events, tournaments, and conventions. They came to WindFarm for help generating online awareness and ticket sales for the 2017 USATF Outdoor Championships event. WindFarm's digital marketing strategy for SSC focused on integrating two key marketing programs - the cornerstone to success for our clients: Inbound Marketing to provide online growth and Social Media Marketing to accelerate the results of Inbound via targeted social advertising. We included a 12-week email campaign as well as social media content, giveaways, and digital ad promotion to build their audience and create awareness for the event. 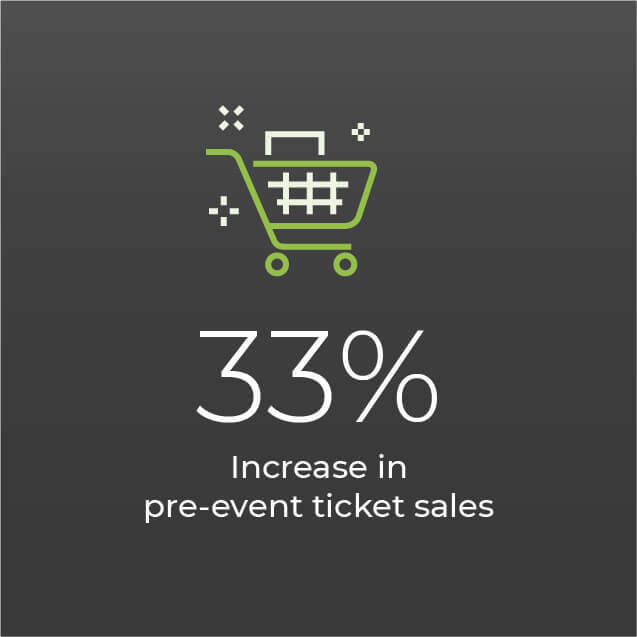 Not only did SSC experience great email open rates of 25%, but they increased pre-event ticket sales by 33%. 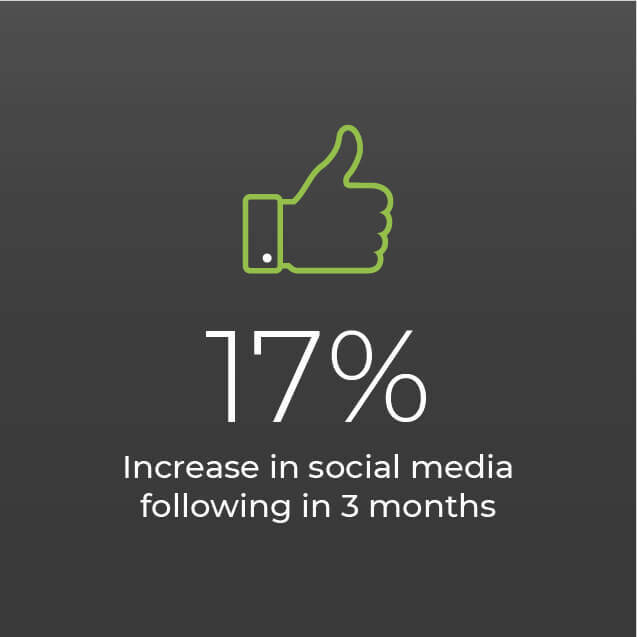 Bonus: they increased their online following by 17% in 3 months just from event-based advertising objectives. WindFarm developed specific event personas to target and used social media giveaways to attract these sports fans as new contacts. 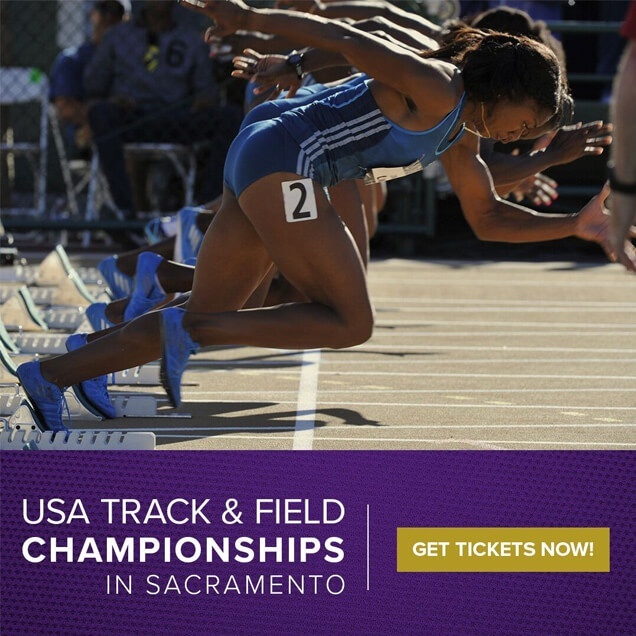 These contacts could then be nurtured for ticket sales for the 2017 USATF event as well as future sporting events in the region. The Visit Sacramento-sponsored giveaway received 6,303 views and brought in 1,160 entries, which then became new contacts. 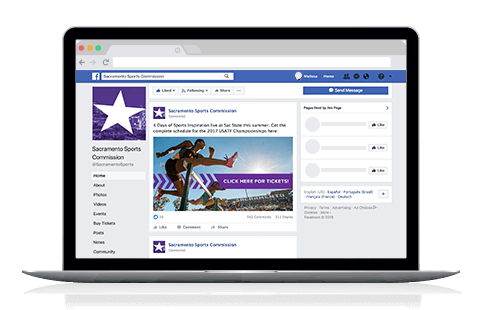 By gaining these new contacts, Sacramento Sports Commission increased the number of people who could be interested in future sporting events and who could be emailed as well as targeted in digital advertising. 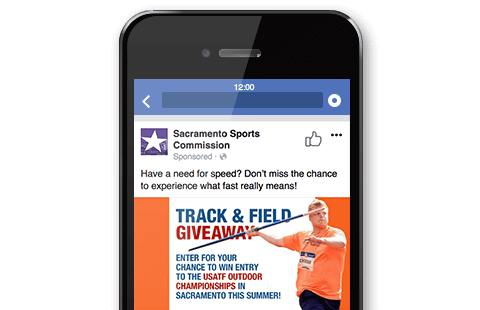 WindFarm used both PPC and Facebook advertising to promote the 2017 USATF Outdoor Championships for the Sacramento Sports Commission. Total PPC impressions were 108,049 and achieved an impressive 7.18% click-through rate. Facebook ad impressions totaled 413,497 with an impressive click-through rate of 2.06%. Not only did the ads drive in new contacts and increased pre-event ticket sales, but these advertising efforts also had a side benefit of increasing Sacramento Sports Commission’s online following by 17% in 3 months. 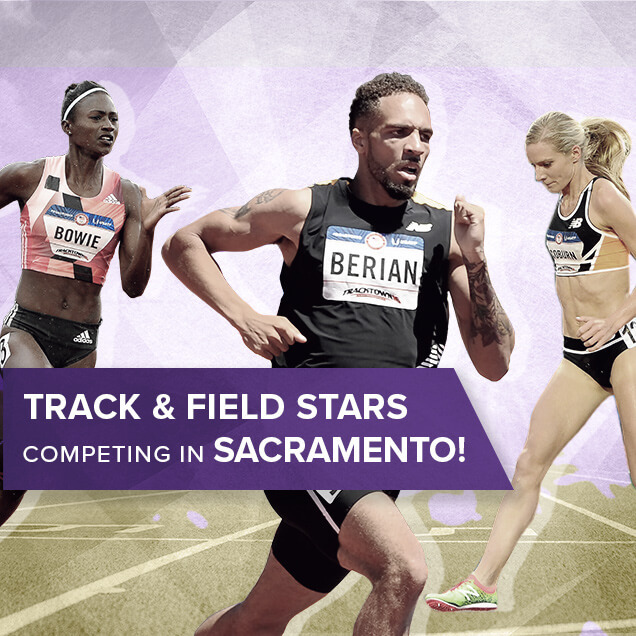 WindFarm wrote, produced, and sent out a series of emails over 12 weeks to promote Sacramento Sports Commission’s event to current contacts as well as to nurture new contacts into becoming ticket buyers. 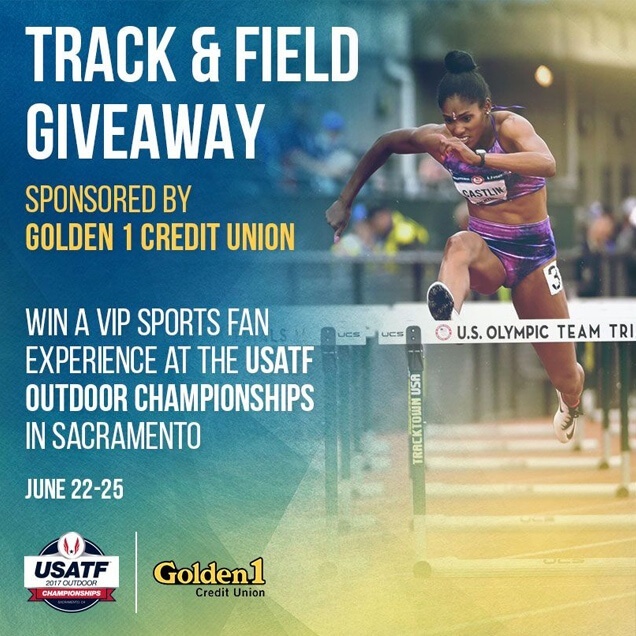 These email marketing campaigns included pertinent information, fun facts, appealing graphics as well as a call-to-action to purchase tickets to the 2017 USATF Outdoor Championships, which encouraged direct sales. 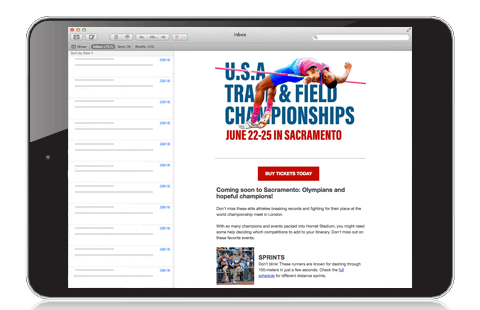 Sacramento Sports Commission achieved and maintained very high engagement rates on the email campaign. 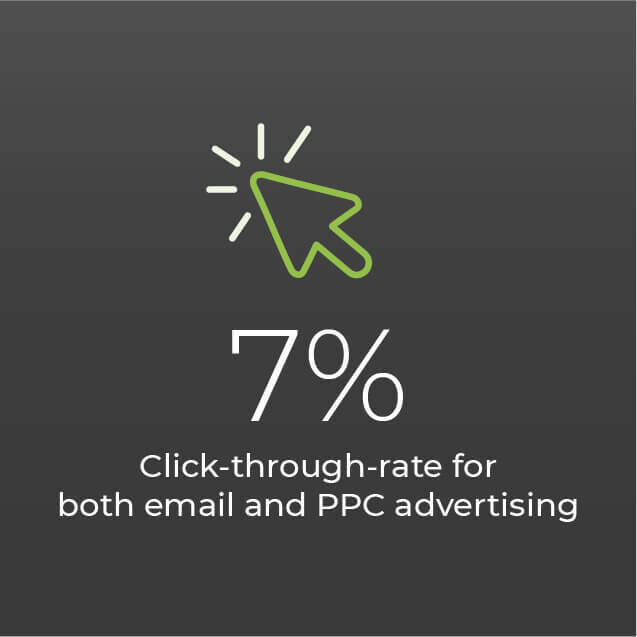 These emails had an average open rate of an impressive 25% and a 7% click-through-rate.